In spite of the Old Testament proscription against graven images of the Divine Power invading the consciousness of a primitive people, the psyche continues to offer images of the Divine in ordinary life to ordinary people. To discern the presence of the sacred in our lives, we do not have to confine ourselves to the study of a sacred text that revealed theophanies that helped to formulate the reality of a new god image for that period of history. We can now look at our own dreams, in our own day-to-dayness for images of the Divine that are emerging from the unconscious. Through the direct, affective experience of the Imago Dei in and as the dream, the dream shapes our encounter with That which wants to make itself known to us in a continuing revelation of its nature. This lecture will examine the modern dreams of ordinary people for images that help us to understand and experience the continuing presence of the Divine in our lives. Such dreams can be entheogenic for the dreamer. That is, they can generate the numinous experience of the god that dwells within, the divinity who appears within the dream. In the process of imagining itself, the numen becomes the image and meaning of the dream. In this way the dream functions as a religion-creating event in the evolution of personal and collective consciousness. We no longer need to tolerate the idea of the hiddenness of the Divine, the Deus Absconditus, if we but know where to look. Barry Williams, M. Div., Psy.D. * is a Jungian Analyst in private practice near Taos, NM. Known internationally for his lectures, workshops, wilderness pursuits, work with indigenous cultures and dreamwork, he has served on the Adjunct Faculty at Pacifica Graduate Institute, has been a long-time presenter at Journey Into Wholeness, and for over two decades a leader of the Temagami Vision Quest in Canada. An important part of his own journey toward wholeness has been a twelve year initiation into the tradition of the Huichol people of Central Mexico. Along with his family at their remote home in New Mexico, at sea in New Zealand and in a wilderness setting in Northern Canada, Barry offers retreats on dreams, shamanism, ritual and the great forces of nature. Speaking of his experiences with the Pueblo in Taos, New Mexico in 1925, Jung began to describe the shadow of colonialism: "What we from our point of view call colonization, missions to the heathen, spread of civilization, etc., has another face--the face of a bird of prey seeking with cruel intentness for distant quarry--a face worthy of a race of pirates and highwaymen" (1961, pp. 248-9). As we find ourselves in America half a century later, how does colonialism and its morph to transnational capitalism afflict our psyches, as well as immigration, foreign, and environmental policies? What are the practices of psychic decolonization that we could put into place within ourselves and between ourselves and others from our communities? Working with an interdependent understanding of psyche, culture, and environment, Watkins will address the individual, community, and national healing that is necessary at this moment in American history. Mary Watkins, Ph.D., is coordinator of Community and Ecological Fieldwork and Research and a core faculty member at Pacifica Graduate Institute. She is the author of Waking Dreams, Invisible Guests: The Development of Imaginal Dialogues, co-author of Talking With Young Children About Adoption, and co-author of Toward Psychologies of Liberation. A clinical and developmental psychologist, she studied at the Jung Institute in Zurich and was a member of the founding group of archetypal psychologists. She is a scholar of the intersection of depth and liberation psychologies, and a practitioner of the innovative individual, group, and community work that flows from their conjunction. Jung writes: "…where love is lacking, power fills the vacuum." It seems then that power is at odds with love. This lecture will address the light and dark aspects of power. It is timely that with the fall elections, this topic will help us to analyze that which empowers vs. that which overpowers. There is a collective and personal power complex. Each demands analysis for power's light can create and its dark destroy. In this lecture, we will encounter what Jung called, in his later years, "the incalculable paradoxes of love." Our single word "love" fails to adequately capture and express the powerful, often contradictory feelings that drive behavior and animate one's soul. We will turn to the three Greek words for love (eros, philia, and agape) and explore the psychological distinctions they express. We will look at both the inter-personal and intra-psychic dynamics of love, as well as its light and dark sides. Finally, we will address the healing and wounding nature of this greatest of paradoxes. 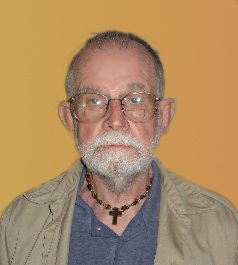 The Very Reverend J. Pittman McGehee, D.D. * ordained priest in the Episcopal Church, served for 11 years, as Dean of Christ Church cathedral, located in the center of downtown Houston. In demand as a distinguished lecturer and speaker in the fields of psychology and religion, he is also an author, book reviewer and an award-winning published poet. 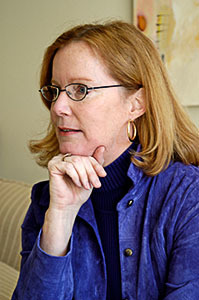 In 1991, Pittman resigned from Christ Church Cathedral to become the director of The Institute for the Advancement of Psychology and Spirituality. The Institute joins the disciplines of psychology and religion by exploring the concept that mental health comes with the integration of the biological, psychological, and spiritual elements of the human condition. In 1996, the C. G. Jung Institute of Dallas awarded him a diploma in Analytical Psychology. A regular lecturer at the C.G. 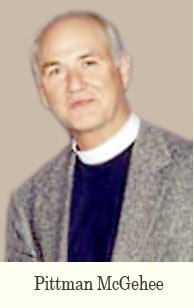 Jung Center in Houston, Dr. McGehee has held many other distinguished lectureships including the 1987 Harvey Lecture at the Episcopal Seminary of the Southwest in Austin, where he received an honorary Doctorate of Divinity; the 1988 Perkins Lecture in Wichita Falls; the 1990 Woodhull Lectures in Dayton, Ohio, and the 1991 St. Luke’s Lectures in Birmingham. He was the 1994 Rockwell visiting Theologian at the University of Houston and 1996 Carolyn Fay Lecturer in Analytical Psychology also at the University of Houston, as well as being an Adjunct Lecturer at the University of Texas. 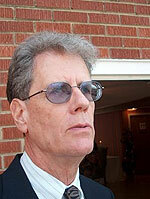 Dr. McGehee is currently in private practice as a priest/psychoanalyst and teacher/lecturer. These workshops will explore the archetypal ground of dreams in a group setting, so that everyone can benefit from the rich unconscious material that is emerging during the conference. In addition, participants can learn about dreamwork in a Jungian style, gain an understanding of the movement of archetypal energies in the psyche and help make conscious the unconscious process set in motion by the gathered community and the content of the lectures. You do not need to offer a dream, but if you would like, please come with a dream that comments on the deeper nature of psychic reality, ie. a dream with strong affect or images, dreams that seem or feel mysterious, numinous or spiritual in any way, dreams of nature or natural forces, a dream that confounds you or that in any way suggests the presence, activity or dynamics of the Self, God or the gods or the archetypal world. None of your dreams fit these descriptions? -- just come with what you have, either from the week or from a lifetime. Dr. John King started his professional career as a Home-School Coordinator during the desegregation of the Greensboro City Schools. He next worked as the counselor within an alternative high school for “push-outs” and drop-outs, before becoming a therapist with Family Services of Greensboro. Subsequently, he maintained a full-time private practice for 13 years, and now he maintains a small private practice and works as the counselor for the Greensboro Day School Middle School. Since 1976, when he read Jung’s Memories, Dreams, Reflections, he has been a student of Jungian/ Depth Psychology and has focused, in particular, on Type Psychology, Archetypal Psychology, and dream analysis. Dr. King earned a M.Ed in Counseling and a PhD in Child Development and Family Relations. "Within us lies something incomparably more precious than what we see outside ourselves. Let's not imagine that we are hollow inside."--St. Teresa. Based on the books "Spiritual Pilgrims: Carl Jung and Teresa of Avila" by John Welch, St Teresa's classic "The Interior Castle", and quotes collected in "Teresa of Avila: Ecstasy and Common Sense" edited by Tessa Bielecki we will view St. Teresa's images along her prayerful individuation process which nurtured her exuberant spirituality. Theresa Yuschok earned her BS/MD from Northwestern University and completed her Psychiatry Residency at Duke University. 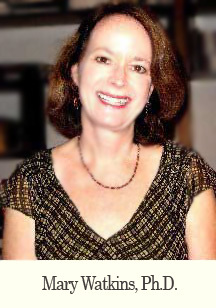 A former President of the CG Jung Society of the Triangle Area, she is currently an Advanced Candidate in the Psychoanalytic Institute of the Carolinas and a Fellow at the Trent Center for Medical Ethics and the Humanities in Medicine. She has lectured widely on creativity, dreams, and trauma. A writer, she has played with various genres, which include a play at The Duke New Plays Festival, poetry, creative nonfiction, and stand-up comedy. "I knew I had an affinity with my namesake, St Teresa of Avila, when I saw her icon with a tambourine, symbolizing her exuberant joy." In "Balancing Transpersonal Perspectives with Conventional Ethical Requirements," Scott will discuss the challenge of affirming soul-level connectivity in the context of a disciplined observance of healthy professional boundaries in the practice of psychotherapy. 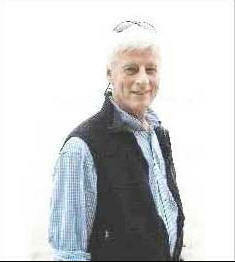 He will discuss ways to avoid a "confusion of levels" by engaging in personal shadow work, frank discussions of anima/animus dream appearances with one's life partner, affirming the sanctity of the imaginal realm for the client, and "holding the sacred space" for the client's projection of love and spiritual hunger alike. He will discuss the concepts of "progressive triangulation" and "teleological transference" in order to provide an intellectual framework for ethical soul-level work. In "Following the Footsteps of the Fisher King and Parcifal in the Midlife Journey," Scott will discuss the inevitability of perceived failure in the course of our spiritual development. By drawing on the examples of the Fisher King and Parcifal, he will describe the way that we tend to "get into trouble" so we can become conscious and available for our destiny through loss and found grief. He will compare aspects of this classic story with modern dreams, and engage the audience around the question of "How have I experienced necessary failure, and what fruits have come of it?" 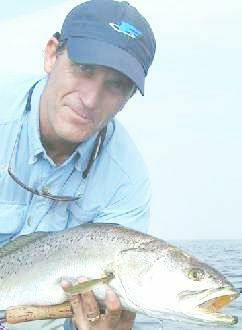 Gregory Scott Sparrow, Ed.D., is a psychotherapist, college professor, spiritual mentor, author, and fly fishing guide who lives on the shores of the Lower Laguna Madre of deep south Texas. Beginning his late teens, Scott has been blessed with numerous mystical experiences that have formed the foundation for his studies and writings the field of dreams and spirituality. His master's thesis and doctoral dissertation focused on the phenomenon of "lucid dreaming," or the experience of becoming aware that one is dreaming during the dream. In 1976, he wrote Lucid Dreaming -- Dawning of the Clear Light, which was based largely on his own experiences. It was the first book on lucid dreaming published in the U.S., and has been extensively cited and hailed as an early classic in this new field of dream theory. 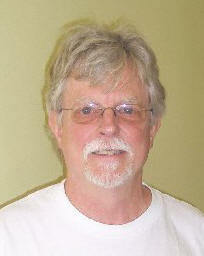 Scott is an LPC and LMFT, and has maintained a solo private practice in professional counseling since 1982. He is an Assistant Professor at the University of Texas - Pan American, where he teaches in the graduate counseling program. He is also a Charter faculty member at Atlantic University in Virginia Beach, where he leads seminars for men on midlife issues, and teaches a course titled "Principles and Practices of Spiritual Mentorship." He has lectured and taught courses across the U.S. on such topics as meditation, lucid dreaming, and dreamwork methods. For several years, he made a study of the "Christ encounter," which is the visionary or dream experience of meeting Christ face-to-face. A book on this research titled, I Am With You Always: True Stories of Encounters With Jesus, was published by Bantam in 1995. He subsequently wrote a book about dreams and visions of Mary, titled Blessed Among Women: Encounters with Mary and Her Message (Crown, 1997). His latest book, titled Healing the Fisher King: A Fly Fisher's Quest ties the myth of the Fisher King, Parcifal and Holy Grail to Scott's own quest for spiritual renewal and healing. It is a book that one reader referred to as "a masterpiece" and another as "destined to become a classic among spiritual autobiographies." Scott will be leading workshops on "Balancing Transpersonal Perspectives with Conventional Ethical Requirements," and "Following the Footsteps of the Fisher King and Parcifal in the Midlife Journey." Our pre-civilized ancestors maintained an awareness of spirit as it lives, breathes, has consciousness and voice in all things human and non-human. Life for them was a series of sacred relationships, not only with great spirit and with each other, but also with rivers, rocks, trees, ravens, animals. The whole world was known to be sacred and to have being. Somewhere in our evolution I believe we took a wrong turn. Modernization, science, philosophy and religions in the last centuries have created a split between the human and non-human world. Suppressing and overriding our innate indigenous sensibilities, we have become unbalanced, to the detriment of spiritual, emotional, psychological, social and ecological well-being. However, these capabilities are still inside of us, like programs on a computer that with some training can be rebooted. This workshop will give us the opportunity to reflect and work together on the possibility of such recovery. Tayria Ward received a doctorate in depth psychology from Pacifica Graduate Institute. Formerly an ordained minister in an interfaith community, she went on to teach at graduate and undergraduate schools in the Los Angeles area. In 2004 she moved to the mountains of Western North Carolina to start a retreat center, Bridging Worlds, where she offers regular retreats. ( www.tayriaward.com ) She leads dream classes and workshops in the area, and offers individual telephone sessions for dreamwork and oracular consultation. Her experience working with people has caused her to develop a passion to create spaces where persons can connect to their own innate intelligence, indigenous to us as humans. "Finding (y)our place in the Cosmos: The Re-Turning to the Ecological Self Micro-Macrocosm"
Kate and Ruth offer an experiential workshop designed to help us know and appreciate our place in the cosmos. In the beginning we knew our connection, lost it, and through our personal work we are able to reconnect. Earth is anxious for this awareness. Kate Keller: M.Ed in Counseling and Psychology, MBTI certified, owner of Journey Books and years of continuing education in Jungian Psychology, Creation Spirituality, and the work of deep ecologist Joanna Macy. 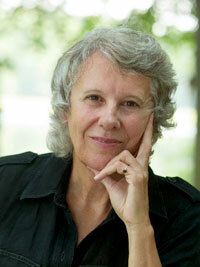 Ruth Hill, a Biodynamic Craniosacral Therapist, Associate Polarity Practitioner and LMBT (NC1469), and B.A. in Education. In addition to her private practice in Asheville, she is a teaching assistant in Biodynamic Craniosacral Therapy in Boulder, Co. Ruth works with clients to develop a "felt sense" of self by experiencing the innate wisdom and healing energy of the body and to encourage the emergence of new levels of health and order in the whole system through relationship dynamics. Informed by Jung’s image of recovering “glowing coals,” workshop participants will join in an experiential process working with synchronicity, ritual, and images. Sandra Paul, a 2003 graduate of Pacifica Graduate Institute, is a depth psychologist who has devoted the last 25 years to her own soul journey and to mutually supporting others on their journeys. She has given workshops at Journey Into Wholeness and lectured and given workshops at several churches and addiction recovery conferences. She lives in the North Carolina mountains. Beginning with a group meditation using brain balancing musical technology we will experience and then reflect on meditation and individuation using the frame of Jung’s structure of the psyche. Non-denominational all are welcome. Marita Digney, D. Min. 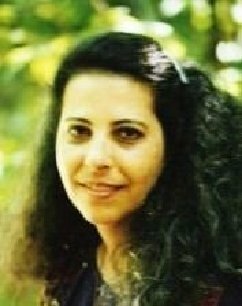 is a graduate of the C. G. Jung Institute in Zurich and The Jesuit School of Theology Berkeley and has worked as a Jungian Analyst and licensed psychologist in Philadelphia, PA for the last twenty years. 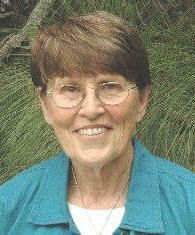 She is a past Director of Training at the Philadelphia Jung Institute an affiliate of IRSJA. Marita has essays in the books, Soul of Popular Culture and Mirrors of Transformation. She has recently relocated to Charlottesville, VA and lives adjacent to the Synchronicity Sanctuary a foundation dedicated to meditation and holistic living. certificate in teaching English as a Second Language, George Mason University in Fairfax, VA.
A writing instructor for many years, Ann Loomis has taught a variety of audiences, from Marine captains at Quantico Marine Base in VA to Japanese businessmen at the University of North Carolina Kenan-Flagler Business School. 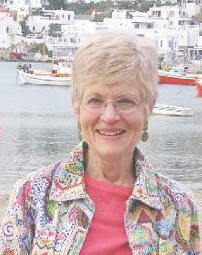 Ann was twice elected president of the C. G. Jung Society of the Triangle Area in North Carolina. She first "met" Jung through studying the Myers-Briggs Type Indicator and has published a book on the link between type and the writing process. 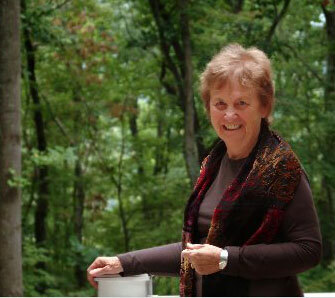 Ann has also collaborated on writing a Wisdom of Women Reader, published in 2008 by the Center for Ecozoic Studies in Chapel Hill, NC and has recently been inducted into The Order of Sophia. She believes that the feminine divine archetype that is active in our times will help lead us to balance and wholeness. This seminar promises to be thought-provoking and is designed to encourage renewed awareness of ourselves and the natural world. By working with the Medicine Wheel, or as it is sometimes called, The Wheel of Life, we will explore how this ancient tool facilitates our inner development. Through lecture, discussion, and direct experience, we will discover the Medicine Wheel’s multifaceted symbology by exploring its calendar and cosmology. During meditation and ceremony, we will relate to the Guardians of the Four Directions in order to open ourselves to healing through their archetypal energies. Come join us, for this exciting seminar as we discover the properties of this ancient tool! 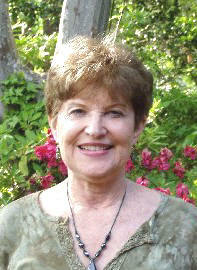 Barbara-Lynn Freed is a mystic, spiritual healer and teacher. She believes in a holistic approach to life, and has a love for helping people understand the mysteries and challenges in their lives. She received a BA in 1973 from Marietta College (Ohio) in Sociology, Psychology and Religion. Her 30 year eclectic background includes a four year apprenticeship in Native American spirituality and healing, and further studies in Dreams, Women’s Mysteries, Archeo-Astronomy, and the Mystical Branches of the World’s Major Religions. 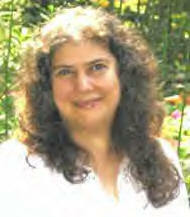 She has practiced as a professional astrologer since 1980, and is certified in several energy healing techniques. 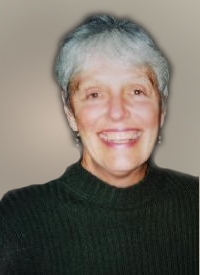 In 1992 she founded, “Awakening the Heart!” spiritual healing practice, and she was ordained as an Alliance of Divine Love, interfaith Minister in 1993, She is the Founder and Facilitator of the Center for Transformational Studies, where she teaches seminars fostering right relationship with ourselves and nature. in the light of Jung's Concepts"
The workshop will begin with a discussion of how Dr. Smith’s education in behavioral and clinical psychology shaped his thinking about his behavior and the behavior of others, and the gradual shift in his thinking, a trip still in progress. The data of the workshop will be dreams chosen from his own dreams, recorded and studied since 1996. Attempting to avoid years of experience becoming years of making the same mistake over and over, Dr. Smith has had regular phone consultation on his dreams since 2000. The pool of chosen dreams will have been divided into two groups based on content: religious dreams and scientific dreams. As a group we will then look at those dreams in an attempt to obtain consensual validation for the influence of such factors as the unconscious, personal or collective; confrontation with a greater personality; complexes; etc. S. Allen Smith, Ph.D. retired in 2004 after over 40 years of successful clinical practice of behaviorally oriented psychotherapy. 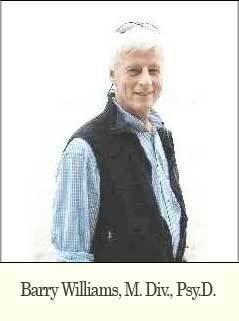 His “work time” in retirement is spent in the study of his own dreams and those of a continuing peer led dream group. Allen received his B.A. and M.A. in experimental psychology, his Ph.D. in clinical psychology, and interned at a program with a Freudian orientation. During his internship he began a two year period of twice a week psychoanalytically oriented psychotherapy. Jung believed that the mandala is a symbol of the Self for the Western person. Making a mandala often brings us to a sense of wholeness, or reveals a side of ourselves of which we are not conscious. In this workshop each person will create a mandala with simple drawing materials. One does not need drawing skills for this endeavor; a kind of attentive meditative scribbling within the mandala circle can beautifully reveal aspects of oneself. A sense of calmness and fulfillment is often the result. It is a tool that we can return to again and again for balance, wholeness and self-discovery. We will spend time as a group looking and learning from the individual mandalas, on a voluntary basis. In 1956 Carl Jung experienced the power of music during a music therapy session with Margaret Tilly after which he proclaimed, “From now on, music should be a part of every analysis”. Now you too can experience the transformative power of music through the Bonny Method of Guided Imagery and Music. In this workshop you will have the opportunity to dive to a deeper level of consciousness with music as the co-therapist in order to experience relaxation, connect with creativity or dialogue with your inner wisdom. Feel free to come ready to lie on the floor, if you choose, for the full effect of the music. 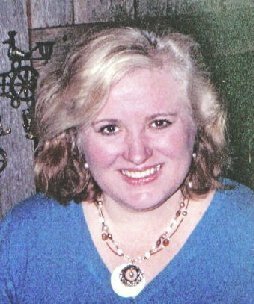 Brenda Burgner is a Licensed Clinical Social Worker and a Fellow of the Association of Music and Imagery in private practice in Richmond, Virginia. Brenda became interested in Jungian Psychology through her training in the Bonny Method of Guided Imagery and Music. Believing that deep within each of us there is a blueprint of our own innate wholeness, Brenda uses GIM to assist clients in connecting with their inner blueprint. Barbara Davis is a Licensed Professional Counselor and a Fellow of the Association of Music and Imagery in private practice in Richmond. Barbara integrates traditional talk therapy with experiential therapies to create a safe, yet powerful, place for her clients to create change in their lives. 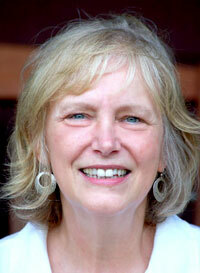 Barbara has been active in Jungian Venture in Richmond and the former Journey into Wholeness for the past 15 years. Born into a musical family Art Hunkins began composing at an early age He studied violin, piano and later cello at Oberlin College, composition and cello in Paris. He mastered in composition at Ohio University and earned his DMA at the University of Michigan. Dr. Hunkins was founder and director of the UNC-Greensboro Electronic Music Studios until his retirement in 1997. Many of his recent compositions are for real-time, live performance Csound, a software synthesis language, and are available at his website: www.arthunkins.com. Most of his works are meditative and somewhat mystical in character. Art will be offering his music at some of the ritual gatherings. From the beginning of time, shared movement and song have brought people together for seasonal ceremony and celebration, as part of everyday life and life passages, and in daily renewal and meditation. The Dances of Universal Peace, sometimes called "Sufi Dancing," are part of this ageless tradition of Sacred Dance. They are joyous participatory circle dances that honor the world’s spiritual traditions through sacred song and simple, heart-felt movement. No experience or special abilities are needed. Movements are gentle, melodies are simple, and complete instructions are given. Farrunnissa Lila Rosa is a certified Dance teacher, member of the world-wide Mentor Teachers Guild for the Dances of Universal Peace, and founder of the Dance community in the Triangle area of North Carolina. She leads Dance meetings and workshops across the eastern U.S., bringing clarity, inspiration, and vision to each Dance circle and encouraging each Dancer to find a personal experience of the Divine through body, breath, and heart. She will offer us the opportunity to dance. On Friday and Saturday Mornings before breakfast, everyone is invited to a time for the sacramental sharing of bread and wine with reflections offered by The Rev. Pittman McGehee, DD. The Rev. Kathy Campbell will be co-liturgist. Rev. Kathy Campbell has been engaged in ministry in higher education for the past 25 years serving on six campuses. 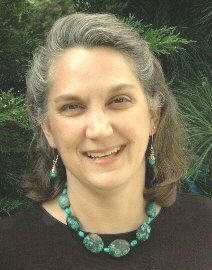 She is currently the Chaplain of Lees-McRae College in Banner Elk, NC. Kathy received her B.A. from Warren Wilson College and her M.Div from Duke Divinity School. The new focus of her ministry is the Global Community Center, which brings to the campus global spiritual leaders who have committed their lives to peace and justice--including the Tibetan Buddhist Monks and Arun Gandhi. The Global Community Center also sponsors global partnership experiences in Mexico, Guatemala, India, New Zealand, and Ireland. Kathy will be sharing her gifts in liturgical leadership. for added information about workshops and special events. Archives of last year's conference.